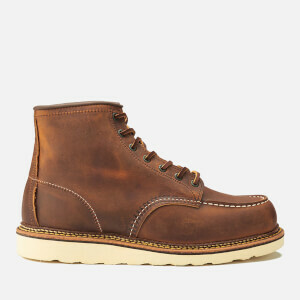 The men’s moc toe leather boots are one of the oldest Red Wing styles, comprising U-shaped moccasin toes, white crêpe soles and a double welt of leather stitching attaching the upper to the outsole. 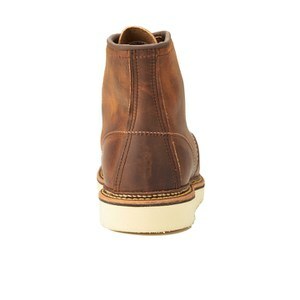 Crafted from oil-tanned leather, the boots are water, stain and perspiration resistant. Making use of the classic Goodyear welt construction, the leather is accentuated with a triple stitched quality. Fastening with leather laces through metal eyelets, the work boots have a full grain leather upper, leather footbed and cork midsole that mould to the shape of feet to create a customised fit with each wear. 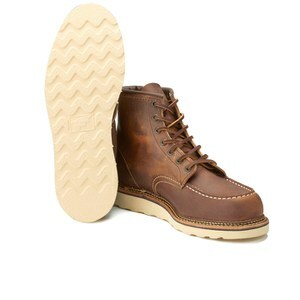 The Red Wing style is set upon a thick wedge Christy sole with a minimal tread design to provide effective traction. – E.W. 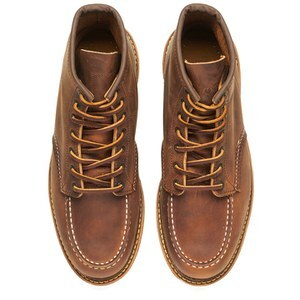 Upper: Oil-Tanned Leather. Insole: Leather. Sole: Rubber. 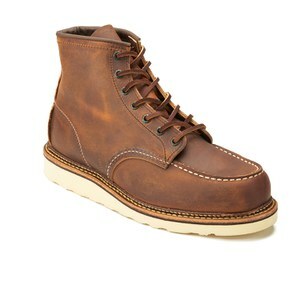 I’d been procrastinating on getting a pair of these Red Wing boots for years. I spotted a special deal on Allsole and couldn’t resist. Got them immediately and they were delivered promptly. 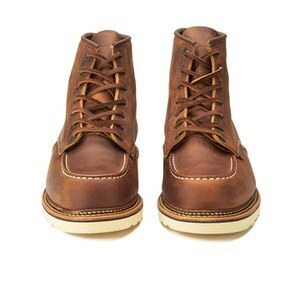 They’re amazingly well made from first grade leather and a brilliant sole. Super comfortable and supportive. Be warned though, being a work boot (originally), the leather is soft yet thick and will need some breaking in. I found the heels and one inner ankle needed some work. 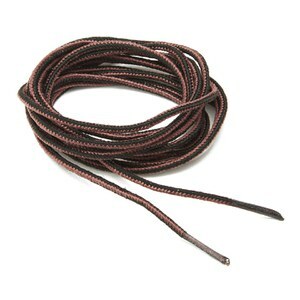 I got some Red Wing product and went to work making the boot more supple. Thick socks and lots of walking and already on the fourth day of full day wear these areas are now not an issue. I can highly recommend these boots, but be ware that to get a life time out of them, you may need to be a little patient and break them in. I’m already eyeing up my next pair; Engineers in black!